One of my favorite characteristics of largemouth bass is their explosive topwater tenacity. Unlike salmonoids that quietly rise to eat whats on top, a bass eating off the top sounds like someone threw a stick of dynamite into the water. 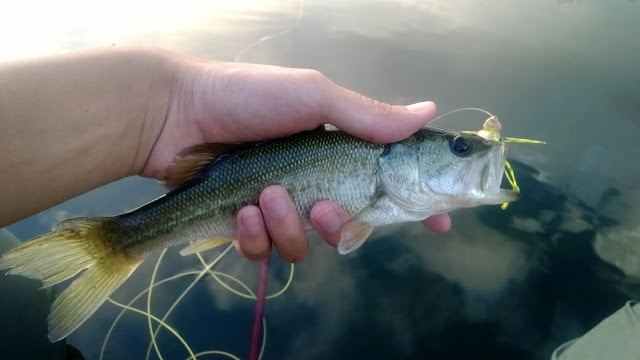 Convincing a nice size bass to eat off is off the top is one of my top favorite adrenaline rushing ways to fish. Imagine throwing a frog pattern into a small 2ft hole surrounded by weed mats. You strip it once, you strip it again, the frog creates a V-ring each strip moving a bit of water. The frog sits their just floating. You being to stare at your fly and with each second your focus gets stronger and stronger. Your hand gets into position as you ready to get the hook. Time stops... SPLUSH! You set the hook! Largemouth bass can be found in just about every body of water but very few places hold bass that eat off the top with such ferocity. Several factors that can make bass prime topwater predators are weed/aquatic plant growth, prey, and cover. Ponds and lakes with these characteristics replicate ecosystems in the South where largemouth bass have evolved to become big mean green eating machines. We aren't talking record breakers that get big off eating planted trout, we are talking about specimens with the most natural and wild growth. There are very few ponds and lakes in California that have the Southern everglades look that we dream of: lily pads, fallen trees, duckweed, trees growing out of the water. In my opinion these are the coolest and most ideal places to fish for largemouth bass. In Chico we have Tiechert Pond which has the ideal aquatic vegetation that supports a number of species within the swamp biome. Tiechert pond is made up of three ponds. I refer to them as the East, West, and South ponds. There are several access points to the ponds but the one I usually use is the bike trail along Humboldt Road. The West pond has a small boat launch and is very small compared to the other two. I've caught more bullfrogs than bass here which makes it a fun place to go if your looking to hook into some frogs! 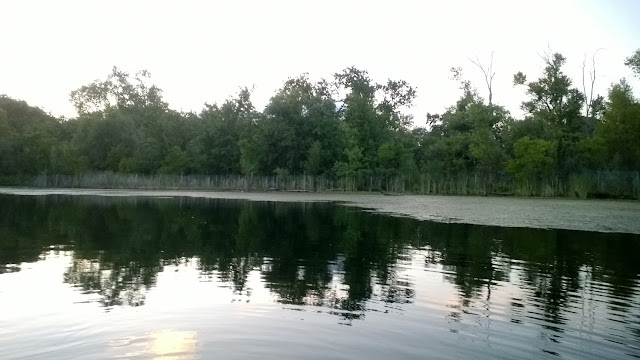 The East pond is the most fished because it is the easiest to access. This is the pond I usually launch into. The water is deeper here and the fish like hold under and near the edges of cover. The South pond is shallower but is more ideal for largemouth in comparison to the East pond. This pond is fished the least because it is the most difficult to access. The only way to access this pond is to use a kayak or pontoon boat. I float tube this pond all the time and though not ideal, it is manageable if you slow down and navigate around the timber. I find that fishing Tiechert pond in any other season besides the summer can be unproductive and difficult. In early summer as the weather gets hot, the pond becomes matted with weed growth putting the fish that were in deeper water near or under the mats. 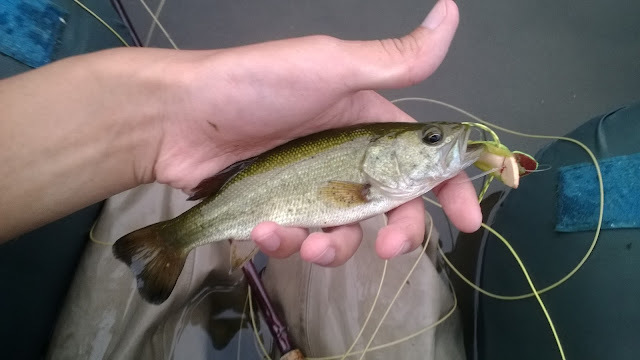 The largemouth can get pretty hefty out there and I would recommend an 8wt rod to ensure that you can land them after they dig themselves into the weeds. Throwing anything other than topwater frogs can be pretty difficult out on Tiechert, but damsel fly dries and low riding buggers are manageable. The pond is open year around and if you are willing to put in the time there you can hook some big bass, we're talking about 8+ pounds.